Functional Capacity Evaluation (FCE) is a tool used by physicians to determine if an injured employee can safely return to the job. Other purposes of an FCE include aiding the doctor in determining an injured worker’s validity of effort, abilities for disability rating, or to see if restrictions/limitations should be set in the future. Advantage Therapy is proud to be a provider of the XRTS Cross Reference Testing System. This unique equipment has set the highest standard for FCEs in our area. What are a candidates safe lifting tolerances? Is this patient giving a valid effort? Are they really doing their best? 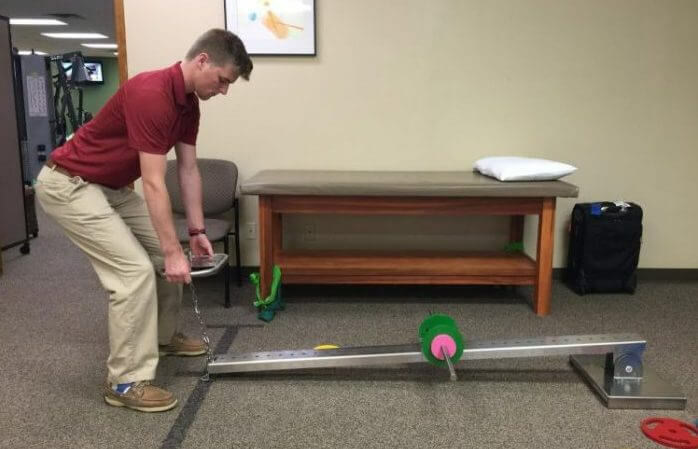 Functional Capacity Evaluations typically last 2-4 hours as the doctorate-level physical therapist goes through a full exam and muscle testing, documents range of motion and performs special tests pertaining to each patient’s injury and pain complaints. If a patient has demonstrated a valid effort, job-specific functional tasks will be performed. For this reason, it is ideal for Advantage Therapy to have a complete job description prior to completing a Functional Capacity Evaluation. To schedule a meeting or demonstration to discuss how FCEs can benefit your company, contact Andrea Graddy at 417-889-4800. Advantage Therapy offers Functional Capacity Evaluations performed by trained doctorate-level physical therapists at all 4 clinics, South Springfield, North Springfield, Monett and Ozark. Advantage Therapy will performed FCEs as ordered by physicians for workers compensation cases, disability rating cases, and personal injury cases involving legal representation.